INDIANAPOLIS (Tuesday, June 6, 2017) – INDYCAR announced today that longtime partner Dallara Automobili will manufacture the universal bodywork kit that will fit the current Dallara IR-12 chassis for the 2018 Verizon IndyCar Series season. 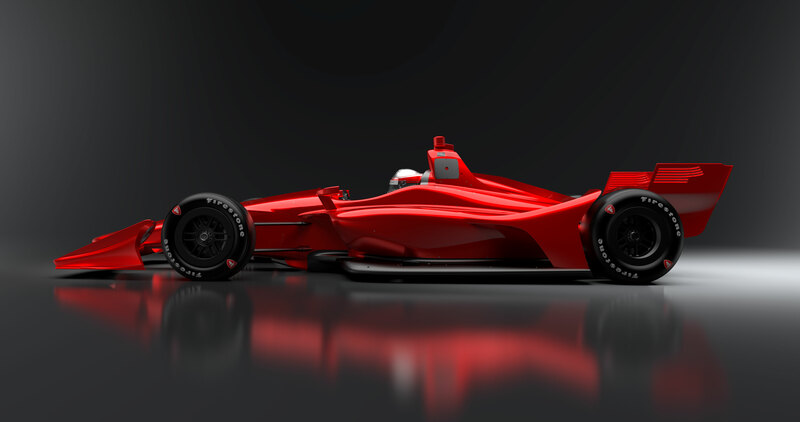 The universal kit to be used by all teams next season was a collaboration between INDYCAR and Dallara with the style design support of Chris Beatty, a concept design and 3D animation consultant based in the United Kingdom. The goal was to make the car resemble past Indy car favorites with a sleek, bold look while incorporating the latest technological and safety advancements. “This has been a collaborative effort from multiple parties, including input from our paddock and fans,” said Jay Frye, INDYCAR president of competition and operations. INDYCAR has scheduled the first test of the universal kit’s superspeedway oval configuration for July 25-26 at Indianapolis Motor Speedway. The road-course configuration will be tested Aug. 1 at Mid-Ohio Sports Car Course, the day following the Honda Indy 200 at Mid-Ohio, the 13th race on this year’s Verizon IndyCar Series schedule. Other tests are scheduled for Aug. 28 (at Iowa Speedway) and Sept. 26 (at Sebring International Raceway). 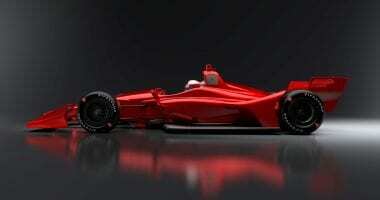 INDYCAR unveiled first renderings of the 2018 car design Jan. 12 at the North American International Auto Show in Detroit. Additional, more detailed images followed in March and May. The Verizon IndyCar Series is the premier open-wheel series in North America, competing on a challenging and diverse combination of superspeedways, short ovals, permanent road courses and temporary street circuits. The Verizon IndyCar Series conducts races in the United States and Canada – all available in high-definition television worldwide through comprehensive, long-term agreements with ABC, NBCSN, ESPN International, Rogers Sportsnet in Canada and Canal+ in France. The Verizon IndyCar Series continues to be the fastest, most diverse and most competitive racing series that features an international cast of star drivers and venues. For more information about the Verizon IndyCar Series, visit www.indycar.com. Dallara was founded by its current president, Giampaolo Dallara, in 1972. After working at Ferrari, Maserati, Lamborghini and De Tomaso, Dallara wanted to continue pursuing his dream of working in the world of race cars. He established Dallara Automobili da Competizone in his hometown of Varano de Melegari, Parma, Italy. Since its establishment, Dallara has become world-renowned for its specialty in designing, manufacturing and developing race cars and consulting activities to some of the most important brands in the world. Dallara prides itself in searching for the highest standards of quality, performance, safety and customer support.